Semiahmoo Speech Services is a full service speech-language therapy clinic. Services are available for clients from birth. A team of Speech-Language Pathologists provide assessment and intervention to the clients at Semiahmoo Speech Services. Each Speech-Language Pathologist is registered through the provincial association, British Columbia Association of Speech-Language Pathologists and Audiologists (BCASLPA) and the national association, Speech-Language and Audiology Canada (SAC) and the College of Speech and Hearing Health Professionals of BC (CSHHPBC). All Speech-Language Pathologists hold Master degree levels of education. Autism/The Registry of Autism Service Providers (RASP): Professionals from our centre are providers through Autism Community Training (ACT). Hanen Parent Training: a practical parent program dedicated to helping young children with language delays and those at risk of developing language delays to communicate to the best of their abilities. 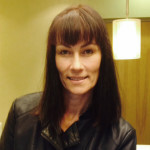 Petulla M. Dedish, owner of Semiahmoo Speech Services, is a Registered Speech-Language Pathologist. For our preschool clientele, our goal is for the children to take part in play-based therapy while developing their speech, language and communication skills. The children will be ‘playing’ with their therapist while practicing a specific speech sound, learning an identified language structure or enhancing a targeted social skill. Our school-age children enjoy therapy working at a table with their clinician in the comfort of a private therapy room. Parents are encouraged to participate in all sessions to the level that they are comfortable. Most of the children will be given homework to practice with their family until the next therapy session. By practicing the speech and/or language exercises according to the therapist’s recommendations, progress occurs more rapidly as indicated in the speech and language development literature. Our adult clients may require therapy for a variety of reasons including Speech Disorders (Apraxia, Dysarthria, Stuttering and Voice), Language Disorders (Aphasia), Medical Conditions (Stroke, Traumatic Brain Injury) and Elective Services (Accent Modification).